"Our modern design EcoArt canvas tote bags feature a spacious main compartment and are ideal resusable bags for grocery shopping, books, travel and everyday errands. The stylish reusable bags also make great green gifts for any occasion. Printed with environmentally-friendly inks on GOTS certified organic cotton canvas with durable matching organic cotton web handles. See our bags in action on YouTube. All reusable bags are on sale for this month. Save over 30%, now only $9.99! New: we now offer custom bags! Any one of our designs can be printed with your logo on it." "A graceful papyrus drawn from the garden turns this organic cotton bag into functional art. Materials: Organic cotton canvas printed with environmentally safe water-based inks.Care: Machine wash cold, gentle cycle. Tumble dry low." 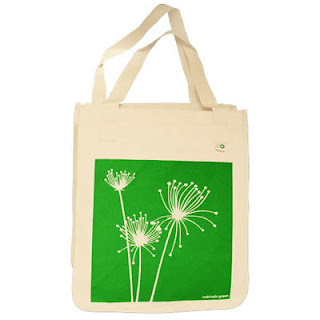 What we thought: We loved the simple, elegant design of the Papyrus EcoArt Bag! The print was absolutely beautiful:) The bag itself was very nice as well. It was roomy and strong enough to hold everything from canned goods to library books. It felt good knowing we were using an organic cotton bag instead of adding plastic bags to the landfill and we looked quite stylish carrying this EcoArt bag around. 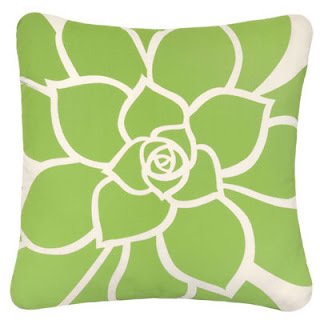 I would say that is a win-win situation:) The designs at Wabisabi Green are nature-themed and they are all gorgeous! 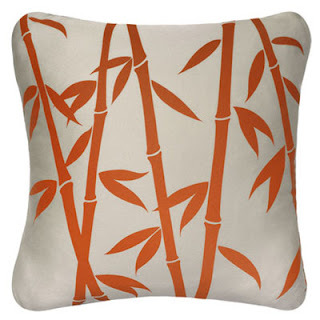 Show off your eco-friendly side with home decor and more from Wabisabi Green! ABCD Diaries gives the reusable bags at Wabisabi Green an A+! Buy It: Find these fun pillows and reusable bags at Wabisabi Green! Win It: Wabisabi Green has generously offered one ABCD Diaries reader the EcoArt Bag we reviewed. To enter, follow our blog via GFC and comment below. Giveaway ends Thursday, March 10, 2011 at 11:59cst. Winner will be chosen via random.org and emailed. They will have 48 hours to reply. Open to US residents 18+:) No PO Boxes. Disclosure: ABCD Diaries was given bag for review and giveaway purposes only. We were in no other way compensated. The opinions expressed in this post are ours and ours alone. I'm following on GFC. Pretty bag! Also following you on Twitter (beth_swanson). And entered your Finlandia giveaway too. Entered your Bloomsberry & Co. giveaway. I entered your Steward Bags giveaway. Entered your Shenzhen giveaway too. Entered your Duraflame Stax giveaway. follow publicly with gfc (pennywatcher). I like Wabisabi Green on Facebook. I follow as Renee G on GFC and would love to try this bag. Entered The piggy paint giveaway. Entered the Healing Code Giveaway.